An effective tool for monitoring the stock market, Real Time Stock Quotes can look up the latest information on stocks on the fly! 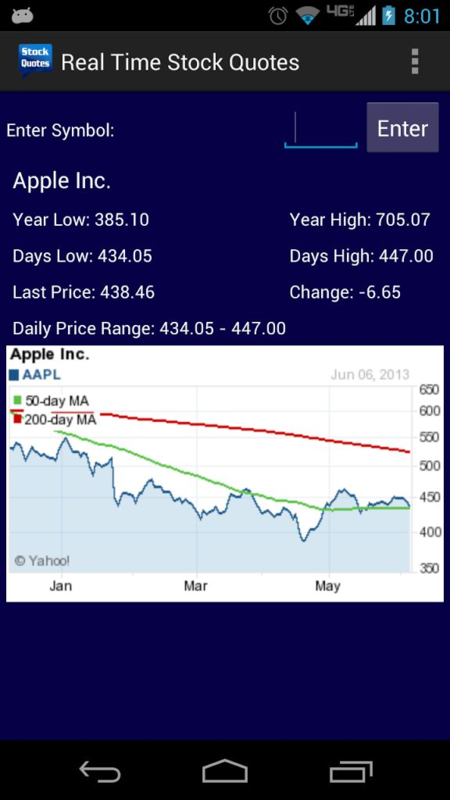 It easily displays data about the yearly low and high, daily low and high, last price, change, and daily price range. 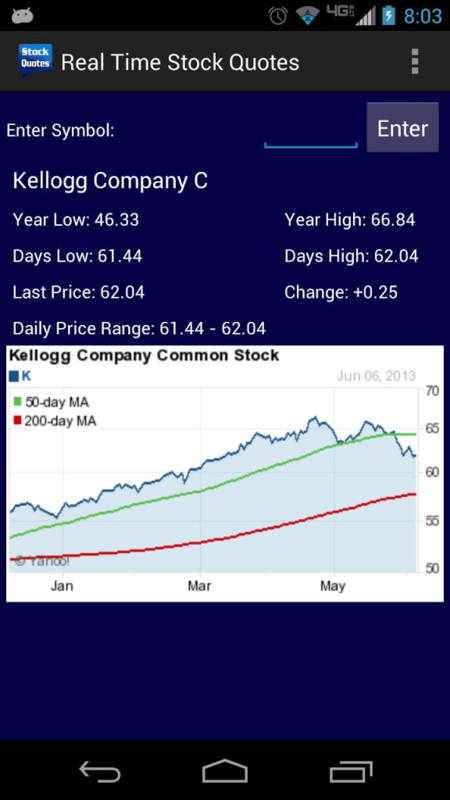 Additionally, Real Time Stock Quotes shows an easy to read graph to get the best interpretation on where the stock is going. Please help me improve this app! Send requests, write an honest review, and send a bug report.